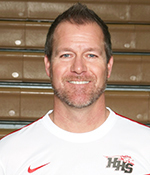 Huntley High School girls soccer coach Kris Grabner captured his 200th career victory with the Red Raiders’ 2-0 victory over Hersey High School in the championship game of the Huntley Invite. The win pushed the team’s record to 3-1-1 to start the season. In his 13 seasons as coach, Grabner has helped turned the program around, from single-digit wins in the early years to a 19-4 record in 2014-15. The Northwest Herald notes that Grabner also has led the team to 10 straight winning seasons, nine straight regional titles and back-to-back sectional titles.